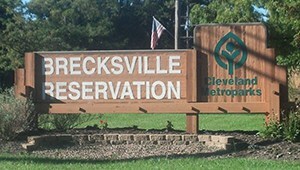 Residents in Brecksville are consistently looking for ways to improve their quality of life (which explains the area’s phenomenal culinary scene), and those of us here at Clean Air America are here to help with that cause! We travel all down I-80, Brecksville Rd, Royalton Rd, Chippewa Rd, I-77, and all throughout Brecksville to keep the air inside our neighbors’ homes and businesses as clean and fresh as possible. Our experienced and dedicated technicians provide the most thorough services, and use state-of-the-art equipment to ensure a mess-free cleaning every single time. 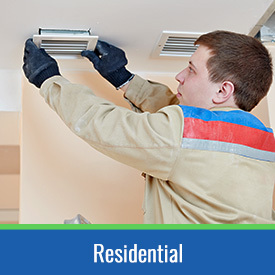 Whether you’re concerned about the air quality in your home or your office, our team can help! We Provide Commercial & Residential Services Throughout 44141! If you’re like most people, your time is split pretty evenly between home and work, so the air quality in both places is equally important! With Clean Air America, you can breathe a breath of fresh air, whether you’re home or at the office. Residential Air Duct Cleaning Services – A lot of air duct cleaning companies don’t pay much mind to keeping your home clean during their cleaning services, but we sure do! Our technicians use expert equipment and powerful vacuum trucks to keep the mess contained, not all over your home! When we’re cleaning the air ducts in your home, you can expect thorough, honest, courteous service. Click here to learn more. We also perform dryer vent cleaning services, which can help reduce your chance of house fire and carbon monoxide poisoning, while keeping energy waste to a minimum and dryer appliance efficiency at a maximum. Click here for more information! Commercial Air Duct Cleaning Services – Do you find yourself coughing and sneezing every time you step into the office? Your air ducts may be to blame! Whether your office is small or large, our technicians can thoroughly clean your air ducts, without making a mess or disrupting productivity. We’re incredibly thorough and respectful of your time and property, and will make sure you and your employees and coworkers are enjoying the highest possible indoor air quality from 9-5. Read more here! We also install Ultraviolet Germicidal Light Air Purification Systems, which can help keep air duct maintenance low and indoor air quality high. These systems kill a variety of contaminants, from odor-causing particles to viruses and bacteria. Click here to read more about these systems and their benefits! If you live in Sagamore Hills, Boston, Broadview Heights, North Royalton, Valley View, Independence, Walton Hills, or anywhere else in the greater Brecksville, OH area, call on Clean Air America for all of your indoor air quality needs! Schedule a free estimate today! Canton residents are happy they’re one of our service communities and we love being able to improve their indoor air quality with every service call we make!